Our little hotel is right on the main square (Plaza Mayor) and is well appointed—meaning we can do our laundry here. Actually, they are doing it for us as I write 😊 which is a wonderful treat on the Camino. 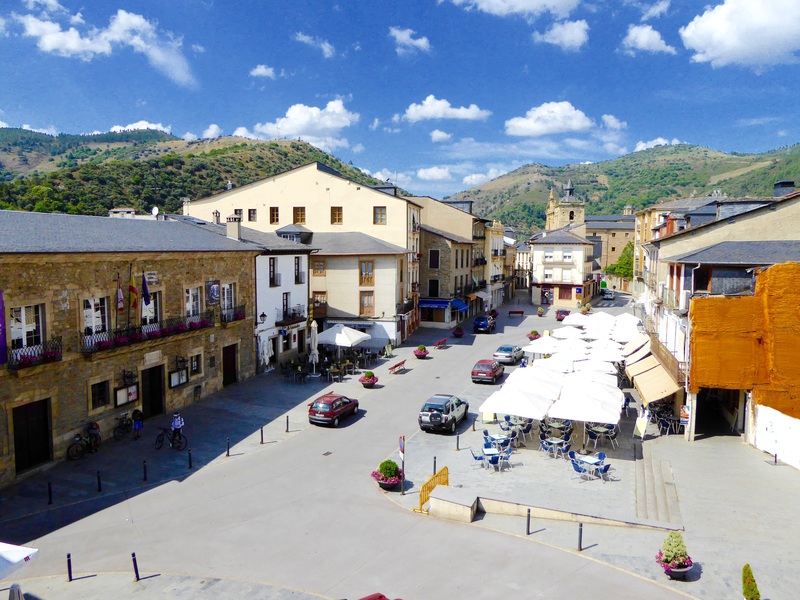 Villafranca del Bierzo is a small village in the valley of the mountains and has retained much of its Medieval and Renaissance character. The cathedral is from Roman times and years ago a pope decreed that pilgrims arriving at the “Puerta del Perdon” ( Door of Forgiveness) would receive the same benefits of exemption in Purgatory as in Santiago itself. 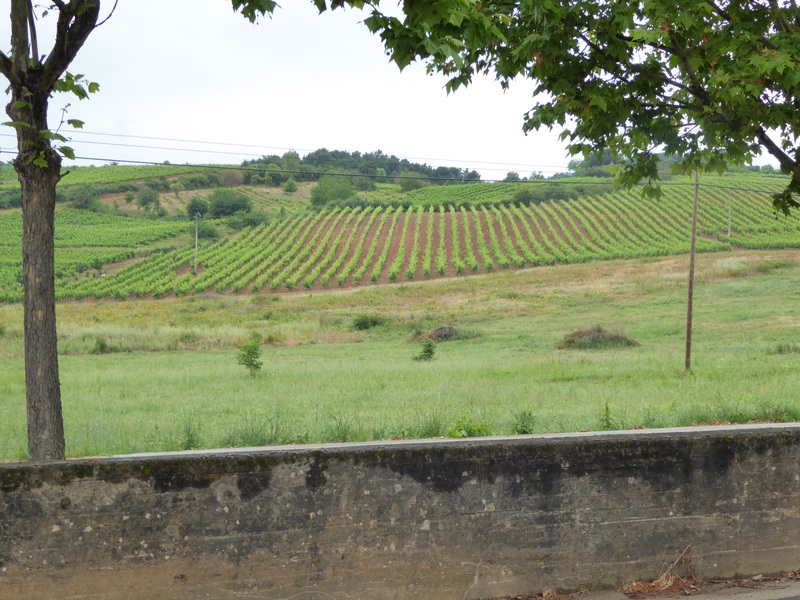 Villafranca del Bierzo is considered the spiritual capital of El Bierzo and often called the “small Compostela”. Despite the number of pilgrims passing through or staying over, it is a quiet village, perhaps, because it is at the base of the mountains of Galacia which must be climbed over the next two days. 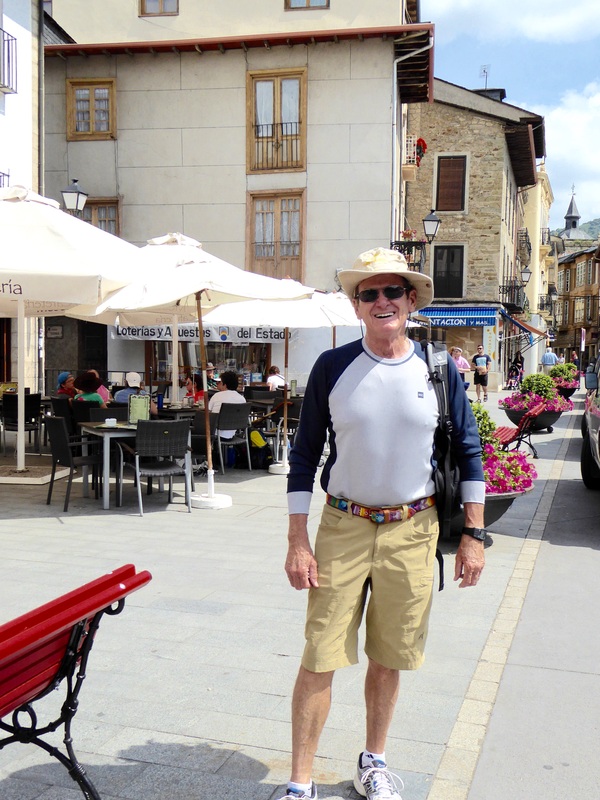 Unfortunately, we both had the worst meals we have had in all of our time on the Camino. Rod had ordered “pulpo” which is octopus and always good in Spain. His meal resembled old shoe laces and did not taste much better. Delana chose to have a “hamburgeusa” and she should have known better. It was very, very rare even after being cooked again. However, our coffee was delicious as always and the company was great. There is not much more to say except we are doing fine and having a grand time. More vineyards in the hills surrounding Villafranca. Note how the rows 90 degrees to the slope of the hillside. It was the same in Germany and had to do with improving the irrigation. A fellow pilgram who stayed here in Villafranca while we were here. 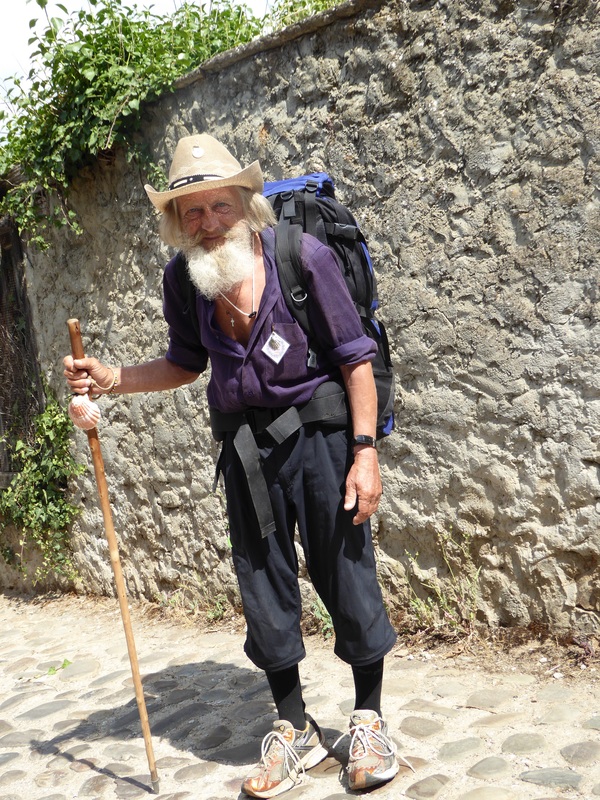 Since he seemed such an ancient pilgrim character, he was often asked to pose for pictures. While posing for this picture a woman asked how old he was. We were somewhat taken aback when this ancient celebrity turned out to only be 70! Another ancient pilgram found wandering the streets and cafes of Villafranca. 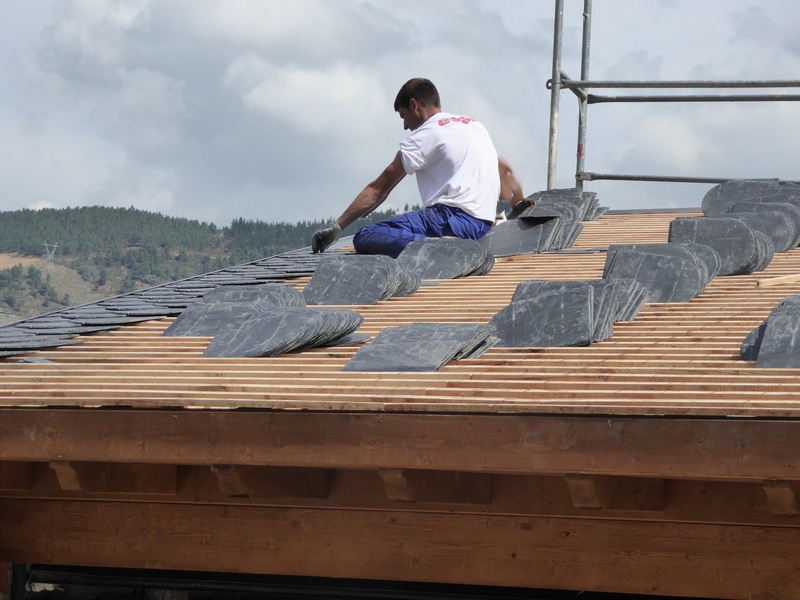 The mountains are a great source of slate, so unlike the rest of Spain where red tiles are the most economic roofing material, here beautiful and long lasting slate is used everywhere. The view from our hotel room window. Kind and friendly staff, great breakfasts and a view of the main square, set out in typical European style – open air coffee / bar / restaurant fashion. A place for meeting neighbors, exchanging grocery lists and having coffee with friends. Not unusual to see older generation spend hours together in this perfect social setting. The descriptive writing and photos really make me feel like I’m with you guys! Bravo! !